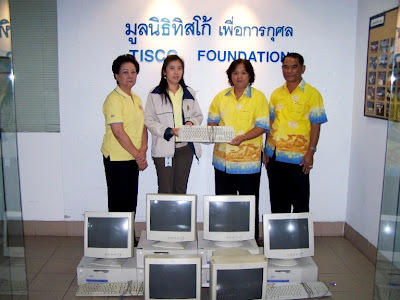 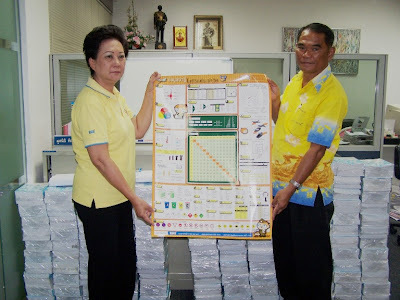 Khun Kanokmas Santisataporn, Head of Branch Facilities Support, TISCO Bank, and Working Group Committee, presented used computers, notebooks and daily knowledge posters to teachers of Amornsirisamakkee School, Buriram , on July 25, 2008. 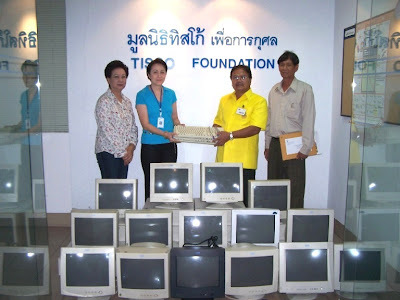 Khun Orachat Thamviharnkhun, Head of Office Procurement & Document Services, TISCO Bank, and Working Group Committee, presented used computers, notebooks and daily knowledge posters to teachers of Baan Yangwangkanghoong and Baan Thachang Schools, Ubonratchathani, on July 21, 2008. 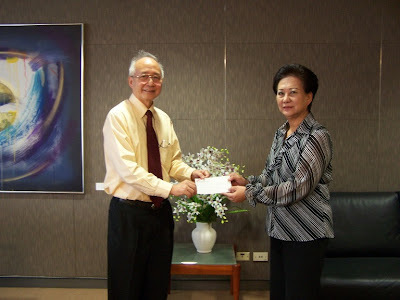 Khun Pairat Srivilairit, Head of Internal Audit, TISCO Bank, presented a cheque to Khun Pattira Wattanawarangkul, Manager, for donation to TISCO Foundation on July 9, 2008.